A study done by Dr Lee Hsiang-He from the Singapore-MIT Alliance for Research and Technology last year found that one-third of the hazy days in Singapore were “caused by pollutants from forest fires, called fire aerosols”. But more importantly, she reckoned that “domestic pollution” from cars and industries such as maritime, could have also contributed to our smoggier times. The National Environment Agency (NEA) found that out of 80,111 tonnes of sulphur dioxide discharged in 2015, refinery companies give out the most sulphur dioxide at 93.1% and motor vehicles, while only at 0.1%, had emitted a total of 110 tonnes. Particles known as PM2.5, which we associate with the haze, are actually also found in car exhaust emissions. These particles are so small, they can enter our bloodstream and into our organs. Car exhaust emissions also include carbon monoxide and soot, which is cancer-causing. In short, dirty air is bad for us. 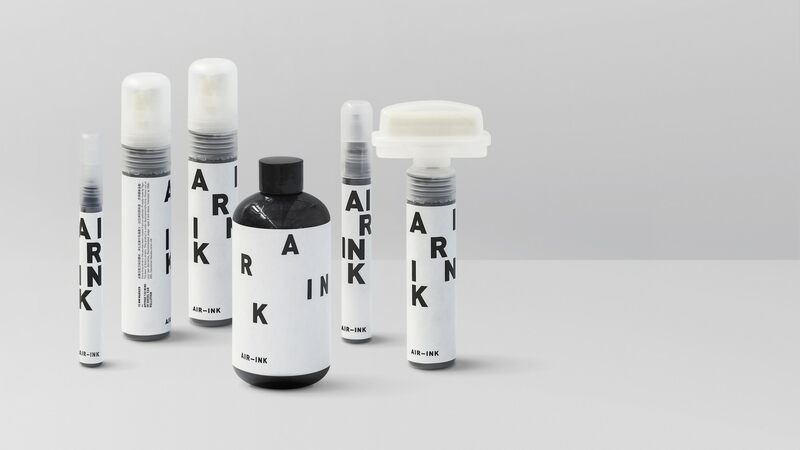 But this Singapore-based startup can turn air pollution into quality black ink that has been used by artists from Singapore, Hong Kong, and beyond. A trip back home in 2012 to Mumbai, India, had inspired co-founder Anirudh Sharma (31) to come up with his Midas-like invention; instead of turning everything it touches into gold, it turns air into ink. He’s also now co-founder of Ducere Techologies and inventor of Lechal. He is regularly featured on TED, Ink Talks and was on the Forbes 30 under 30 2016 list. The then-MIT Media Lab student had noticed a layer of dirt on his shirt which he realised was soot from the air. In 2013, he conceptualised the idea while he was still at MIT. The next year, together with co-founders Nikhil Kaushik (31) who was formerly from Ernst & Young, and Nitesh Kadyan (29) who is a 3d printing and smart vehicle engineer, they began work on their Proof of Concept (POC) and demo products for AIR-INK. 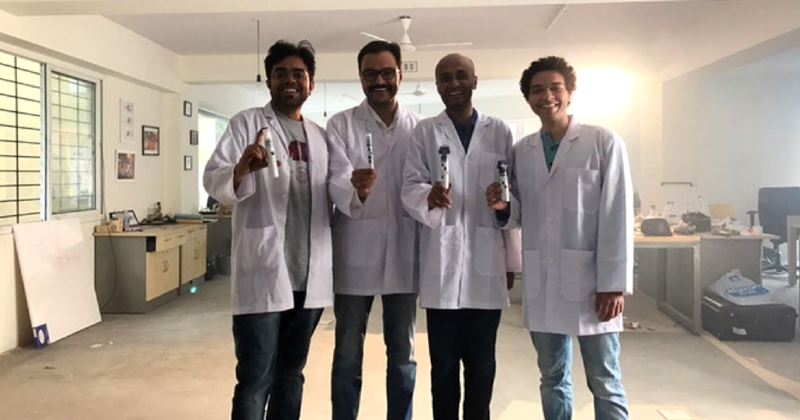 Their startup, Graviky Labs, created a device that lets it capture air pollution particles from the air and can be fitted onto exhaust pipes, diesel generators, and other fossil fuel chimney stacks. First, the device, KAALINK, is attached to a vehicle. As the vehicle travels, KAALINK will absorb soot in the air around it, getting rid of 85% to 95% of the harmful particles. When the cartridges are filled, Graviky Labs will process the soot and remove the heavy metals and particle carcinogens before grinding it into ink pigment. The pigment is then mixed with vegetable oil and made into ink that is the “blackest” shade of black that ends up with a matte finish. Nikhil told me that a 2mm AIR-INK marker contains about 40 to 50 minutes of air pollution. 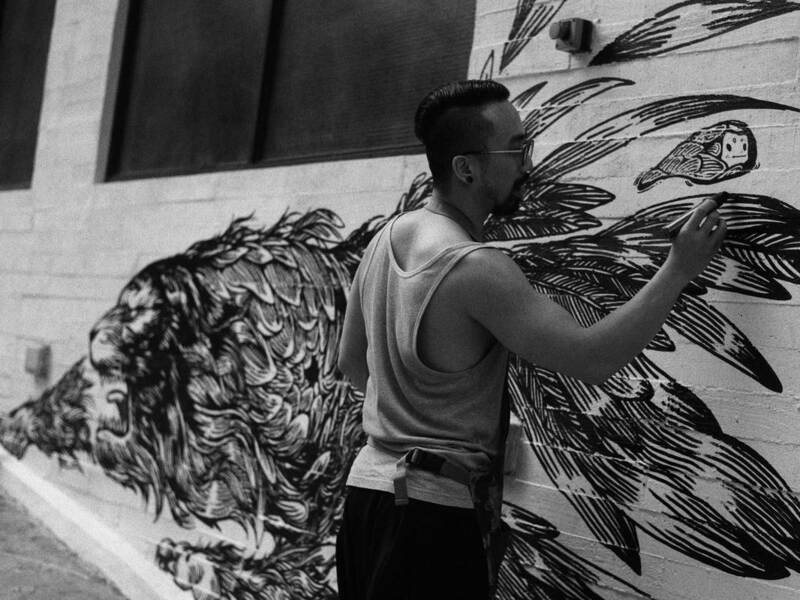 In a tie-up with Tiger beer, they invited artists like Singaporeans ANTZ, MessyMsxi, and Hong Konger Kristopher Ho to use AIR-INK to create art of their own. 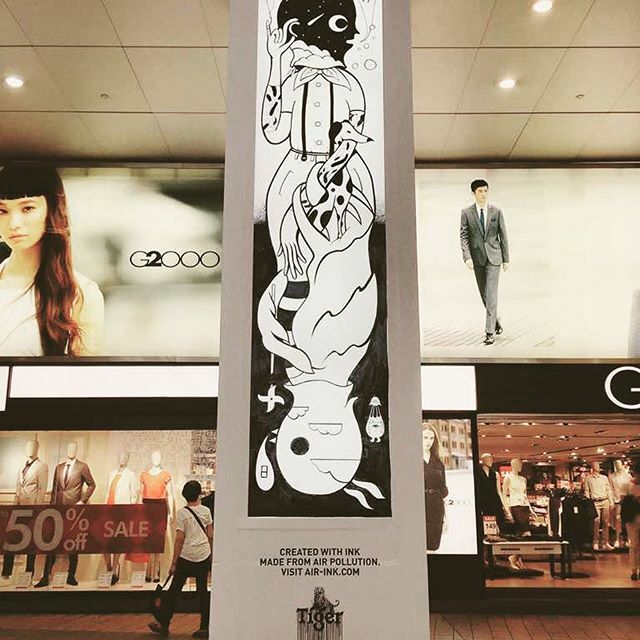 Ho’s artworks that he created for this campaign have been exhibited in London. They work with factories and businesses to recycle their pollution. Like last year, as part of their initial testing, Anirudh attached the KAALINK on Tiger Beer delivery trucks in London. Ho commented that he’d used up 10 to 15 markers on his mural in London, and when he was low on ink, they sent the Tiger Beer trucks out to central London to “collect more ink”. Recycled products “tend to be low on quality” in the early development stages, according to him, but they made sure to not bring a low-quality product to market right from the start. “We wanted people to use AIR-INK because it is good ink and it is eco-friendly,” he added. The markers are refillable and reusable for a long time. During the research phase, Nikhil told me that they bootstrapped it with their own savings. They launched a Kickstarter campaign in February 2017 to reach an initial goal of USD$10,000, and managed to reach USD$41,000 in one month. “Development of hardware solutions generally face a difficult ecosystem during the development stages, such as access to fabrication facilities, high cost of incremental changes to design, high prototyping and testing costs, etc.,” he said on the challenges they faced. Graviky Lab’s office in Singapore is the lead marketing office for the company because their key client, Heineken Asia Pacific is headquartered here and has offices globally. He shared that it was a “business-friendly jurisdiction” to have the office here since Singapore is strategically located to reach global markets being a “big financial hub”. Nikhil also shared that they focused on hiring people who are passionate and solutions-driven, which helped ease the problems they faced because “every team member owned up to the problem-solving process” and took charge in solving difficult issues. He revealed that they have sold about 1,000 litres of AIR-INK — almost 100kg of particulate matter air pollutants. Up to last year, more than 770 litres of air pollution have been gathered from vehicles and chimneys in large cities where they are present. That’s about 2.3 years worth of particulate emissions from continuously driving say, a car like Mitsubishi Lancer. “Singapore has taken several active measures to address the problem of air pollution including restricting the number of vehicles on roads, investing in measurement and information transmission technologies for citizens during the phases of high air pollution,” he noted. Spreading the message about air pollution and sharing their solution with the world is an integral part of their strategy. 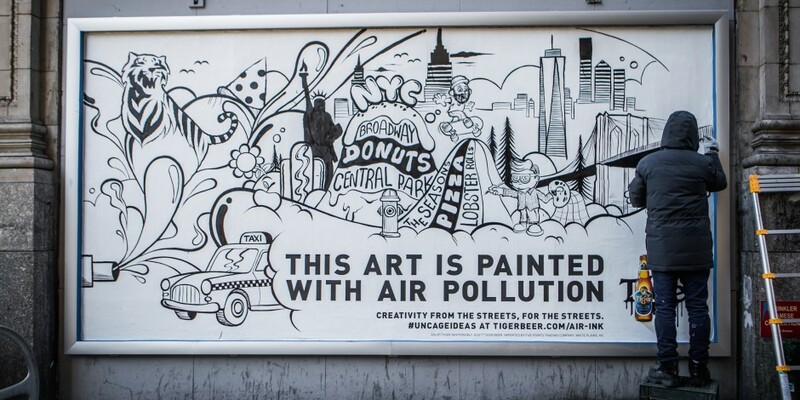 So, they collaborate with artists and companies to create awareness campaigns to show how people can “address the problem of air pollution [from] bottom-up”, taking action at the individual and community levels respectively via sustainable printing and more. Nikhil said they are working on developing more ways for AIR-INK to be used on different mediums like printing on fabric, paper, and packaging material. They might raise a funding round “later this year” and are looking to launch their online store that will ship their products worldwide. Visit Graviky Labs’ website here.